Yesterday, we told you about a pair of exploits called Meltdown and Spectre. We focused on the latter because it can affect ARM flavored processors which are used on mobile devices like Android and iOS smartphones. As we told you, Google's Android Security patch for January will help protect Android users from having passwords held in a browser, or in a password manager, stolen by a nameless, faceless hacker. Apple has joined the club. The company said today that all of its Macs and iOS devices are vulnerable to the same issues. However, Apple says that it has already released mitigations in iOS 11.2 that protect iPhone units, iPod touches and iPad tablets from Meltdown. Apple Watch is not at risk since it runs watchOS. Apple says that despite fears from users, these updates have not slowed down the performance of the Apple devices that received them. Another update is coming to protect the Safari browser from Spectre. Apple says that this update can slow the browser, but by no more than 2.5%. "The Meltdown and Spectre issues take advantage of a modern CPU performance feature called speculative execution. Speculative execution improves speed by operating on multiple instructions at once—possibly in a different order than when they entered the CPU. To increase performance, the CPU predicts which path of a branch is most likely to be taken, and will speculatively continue execution down that path even before the branch is completed. If the prediction was wrong, this speculative execution is rolled back in a way that is intended to be invisible to software. Apple says that currently there are no known exploits that are impacting users at this time. Apple also added that since it would take a malicious app to set off Meltdown or Spectre, it recommends that iOS and Mac users install apps from a trusted source only, such as the App Store. Ok I didn't really have time to explore my iPhone that much but like is there any other way to install apps other than visiting the App Store? There are a few afternarket apps that allow you to do that. I’ve experienced them myself on both iOS and Android, and they don’t even require you to root or jailbreak your phone. But the problem is, me sharing that info could cause your devices to get infected......provided you install them. why would one do that? piracy? To install apks, and other apps Apple doesn’t allow you to install. Why would one do that? Because for one, its HIS phone HE can do what he likes with it. What's it to you? Why is it every time someone wants to sideload apps, you people think it has to do with piracy? When I installed apps from Amazon, because they didn't come from the Google Play Store, they require sideloading, because they are not signed by Google. Just because people want to side load doesn't mean they are stealing, and even if they are; what business is it of yours? Is it your phone? 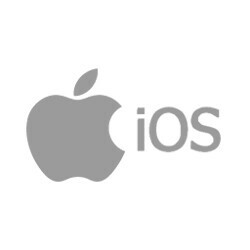 I sideload apps on iPhone because I am a developer and I make apps, that are not always sold on the App Store. Does that mean I am stealing? I guess owning a Fire Stick must mean I use it to stream bootleg movies automatically too. Right? The nerve of some people. Have anyone try tweakbox or appvalley? iOS = Most insecure OS of All Time Add their amazing updates to it. It just works! Can you tell us how we can reach such degree of stupidity? You have a good experience. Do you j*rk off while imagining yourself s*cking off some Apple entity? Or are you a bot? Didn't you know? It's 2 more unannounced features. Throttle or vulnerabilities. Pick one. Considering all the bulls**t issues with Android, I'm now starting to see iOS to be a better fit for modern life. Wifi issues from Android 4.0 to Nougat. "Obtaining IP address" after some crap Android OS pulls from time to time, battery life is highly inconsistent and doze just switches on when it feels like. People need to stop making excuses or fanboying over Android because Google won't learn until people hold their feet to the fire. If you just liek iOS, go use it an be happy. You don't have ot make lame excuses. The rest of us don't have issues using Android everyday!. If you "think" iOS is better, no one is preventing you from using it. But you don't have to crap on what others use simply because you don't like it. Just because you have Google issues, doesn't mean the rest of us want to go down with your ship. If you use a better quality phone running Android, you won't have issues. For me, I personally think phones that run Vanilla Android are less secure, which is why they need to get updates rather quickly. Samsung phones at least have several layers of protection, including Samsung Knox. My next update better be having this fixes and battery data statistics.